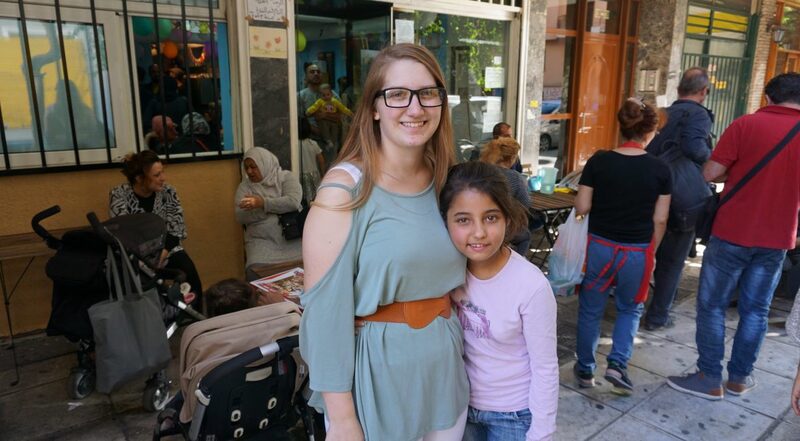 It is heart-warming to see CYA classes of previous decades remember with affection their time in Greece and to hold reunions in the US. 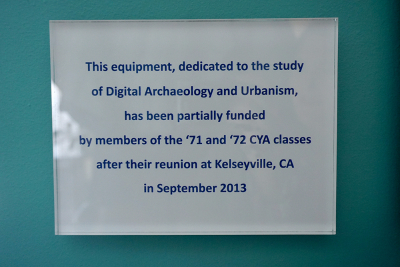 In one such reunion of the CYA classes of ’71 and ’72, held in Kelseyville CA, funds were collected for a class gift. It contributed to the funding of new computer and software equipment dedicated to the study of Digital Archaeology & Urbanism. A plaque commemorating with gratitude this gesture by the ‘71 and ’72 CYA classes was installed last week at the CYA Academic Center. We are proud of our Alumni and thank them for their ongoing support and genuine interest to leave their mark here at CYA. The generosity and the spirit in which every CYA supporter gives continues to have a positive impact today and for the future. Your help benefits students and enables us to continue our mission of providing students with high-class academic programs along with the latest technology and resources. 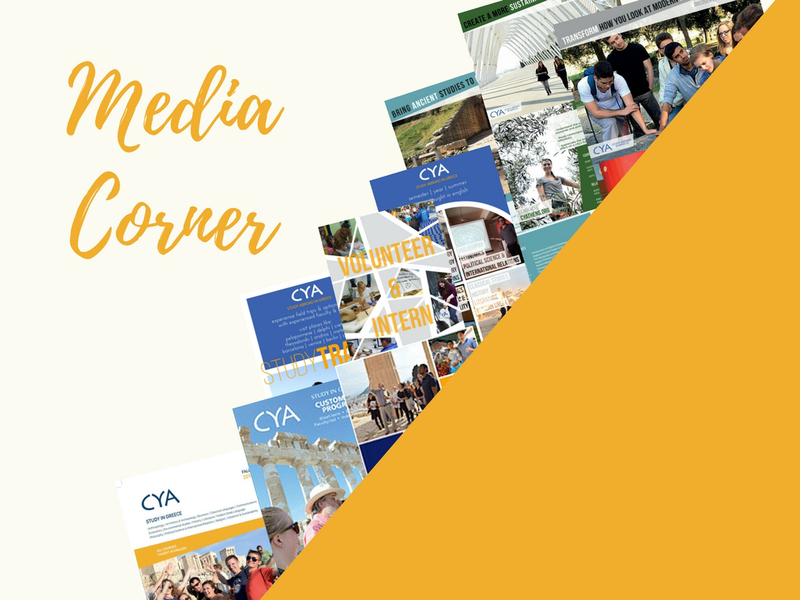 Visit the new CYA Media Corner on our website, a place where you can view, download or request any CYA related printed and digital materials. In support of our partners' upcoming International Education Week (IEW) celebrations in recognition of the benefits of study abroad worldwide, CYA is happy to share a Media Kit for use on personal or institutional social media pages or in your study abroad offices. Please find a variety of social media posts, printable posters, and a short video at the following link CYA IEW materials. Throughout IEW, CYA’s social media will host an open dialogue. 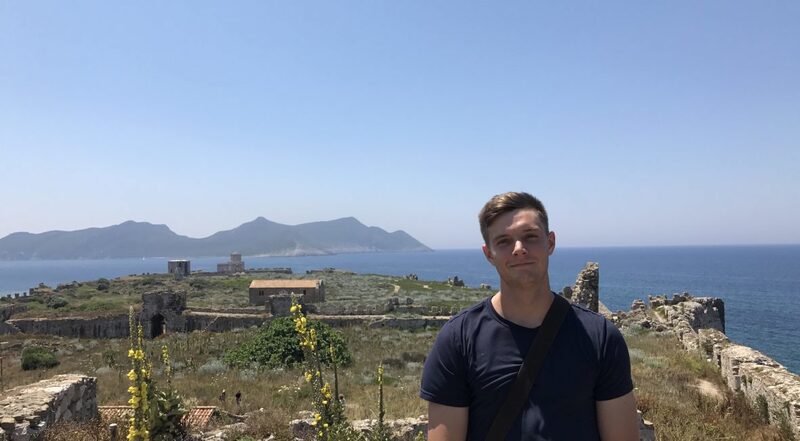 Top questions about study abroad will be answered by our students here in Greece. We encourage everyone to follow our Facebook page to see what students have to say and join the discussion. Wishing you all happy International Education Week festivities!